Jazz is one of the top mobile operators in Pakistan. It has the biggest circle of customers from all over Pakistan. The main reason is its wide area coverage and incredible rates on all services. Besides this, it always shows care for its customers and tries hard to provide the convenience. That is why; it keeps on coming with amazing bundles and offers not only for its prepaid but also for postpaid customers also. But when it comes to offers, prepaid users always get some extra benefits. Jazz has always introduced exciting call, SMS and internet bundles to provide maximum benefits for their customers. Once again, weekly all network offer is another economical offer introduced by Jazz. The offer has a lot to offer and that is you can consider as a complete package. From free minutes to data Mbs, you will get all in one package at cheap rates. Here is all the essential information about the weekly all-network offer. 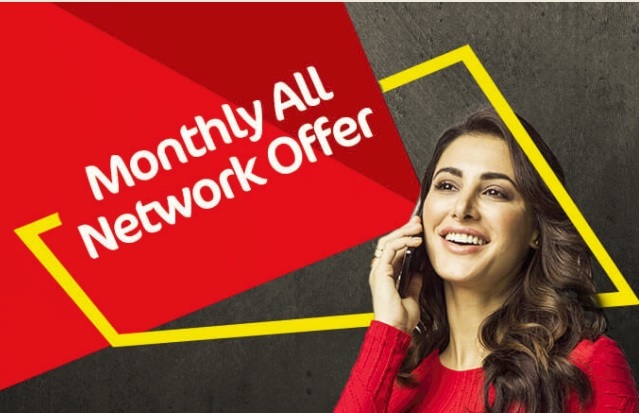 The weekly all network offer will give you all the benefits at the best rates in town. You will have unlimited calling minutes, messages and data Mbs for only Rs 120 including all taxes. Call setup charges will be applied and all charges are all-encompassing of taxes. Pick up your phone and dial *700# from your prepaid number to activate the weekly all network offer for a week. For check, the status *700*2# string will work and for info use the following string *700*3#. 700 minutes to make calls on any Warid and Jazz number. Never cut off with friends on other networks as the offer is giving you 50 off-net minutes. Send free text to your friends with 700 SMS for both on-net and off-net numbers. 250 data Mbs to access and surf the web for free. How to Deactivate the Offer?? If you want to activate some other bundles by Jazz then you can deactivate the offer easily. You just have to dial the un-subscription code *700*4#. After dialing code, wait for a confirmation message from Jazz. What are terms & conditions to use the Offer??? Subscription of all networks is allowed to only prepay customers of Jazz. The incentives of the offer will remain effective for 7 days of the week. The offer will get expired on the midnight of the seventh day starting from subscription day. The offer is non- recursive or auto-renewable; you have to subscribe it again to avail the resources. Provided data Mbs are valid for 2G and 4G net users. No time limit or exemption is included; you can avail the offer any time. It is compulsory to have the balance of Rs 0.15 to make calls with the all-network offer. Jazz can change the incentives and charges of the offer any time or can also withdraw it. Withholding tax 12.5% will apply to all usages. Operational fees, FED tax and service charges will be applied on the regional basis. 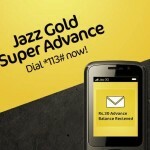 Jazz has again come up with another amazing offer for its prepaid customers. Now you can make calls, send SMS to any network and access the web for a week at the minimal rates. Don’t think much and activate the weekly all network offer to enjoy unlimited fun.